Were you as riveted as I was by Mark Zuckerberg’s testimony about the Facebook-Cambridge Analytica scandal? Here are my key takeaways on the future of the services industry supporting social media and the increasingly digital world. We are hurtling towards a truly digital economy where data is the key commodity. In such an economy, companies with access to data and, more importantly, the ability to make sense out of it through analytics tools will reign supreme. It is not difficult to imagine a world where most corporate movements and conflicts center around data – lack of it, desire to access it and acquire better analytics tools, improper/unethical/overuse of it, and inadequate protection of it. Internet of things and social media platforms can capture zillions of data points, and will potentially be important tools that supply this new currency to the ecosystem. However, market success will depend heavily on who has the business acumen and analytical power to churn data into insights and useful products. 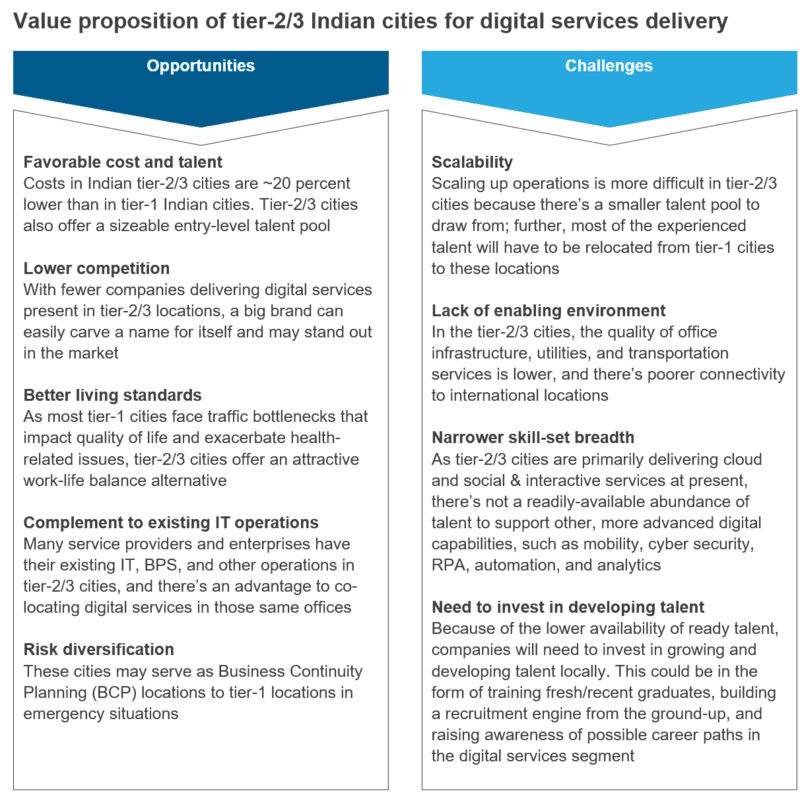 This will apply across sectors, but will be critical for BFSI, CPG, retail, and healthcare segments. Data will not just be hard, like names, addresses, and IP addresses. It will also be soft, such as sentiments, propensity to buy, satisfaction, and the likelihood that a given customer will be a leading adopter. IoT and other data capture/analysis tools will need to change rapidly to accommodate these factors. Whether the claims of Facebook storing 29,000 data points on each individual are true or not, the data it does store keeps track of not just actions but also interest and intent, e.g., browsing but not actually buying a product. In this new world, data security will be paramount – akin to safeguarding money! That makes cybersecurity a critical prong of a digital strategy. The U.S. legislative bodies have demonstrated considerable interest in introducing new legislation oriented around this new data economy. My expectation is that the U.S. will mirror the EU General Data Protection Regulation (GDPR,) at least in intent and punitive measures, although the exact tenets may differ, and may be more expansive. In order to continue to be amenable, operating locations for U.S. and European firms and their back-and middle-offices and IT centers, offshore services delivery countries like Argentina, Costa Rica, India, the Philippines, Malaysia, and Mexico will have to mirror the EU GDPR and U.S. regulations, and upgrade their data protection laws. Alleged Russian interference in the Brexit vote and the 2016 U.S. presidential election, purported hacking by Western nations into Iranian nuclear reactors, political propaganda on social media, and the umpteen social media wars fought by even governments and elected officials all mean one thing: the Cold War has now gone digital. Against such a backdrop, technology and digital tools have come out of the back rooms of global businesses and into the front rooms of politics and governments. With their strong emphasis on digital, we foresee governments increasingly investing in it to out-compete other countries. We also expect the public sector to increase their investments in cybersecurity. Huge emphasis will be placed on a breadth of content moderation services – this includes content review, sentiment analysis, context analysis (e.g., distinguishing between hate speech and valid political dissent), and moderation. While content moderation was previously viewed as low-value and transactional, the intense heat that social media platforms are facing will change it into a far more important process that involves a fair degree of decision-making. We might even see the most complex streams of content moderation leveraging legal professionals as agents. See my next point. Because of the huge impact of social media content on almost everything in today’s world – politics (e.g., Brexit and the U.S. elections), the economy (e.g., Snapchat losing US$1.3 billion after a tweet by Kylie Jenner), entertainment, sports, and arts – content moderation will become a heavily regulated and watched process. Liabilities from social media fails will typically run into billions, and so will penalties. Senator Ted Cruz raised a question related to the political leanings of moderation agents themselves, bringing into focus the larger issue of biases. Over-moderation will also be under scrutiny, meaning that content moderators will need to walk an extremely thin line. With the explosion of social media across the nooks and crannies of the world, content moderation capabilities will need to keep pace. Facebook already has a team of up to 20,000 professionals moderating content, and that number is bound to leap up significantly in the near term, until AI and automation become smarter. 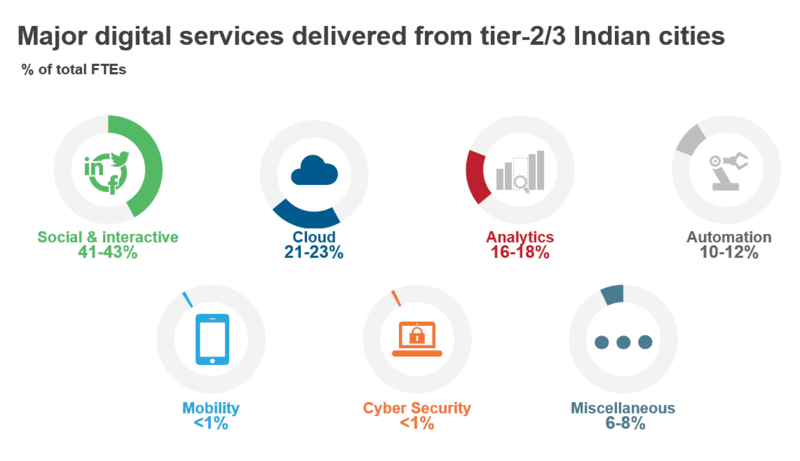 In our work with global service providers, we are seeing a huge ramp-up in demand for content moderation teams across all developed and emerging markets, and even for languages that were not previously supported by contact center or BPO service providers in any meaningful scale. Mark Zuckerberg himself gave the example of the need to increase Burmese language moderation due to the Rohingya crisis. 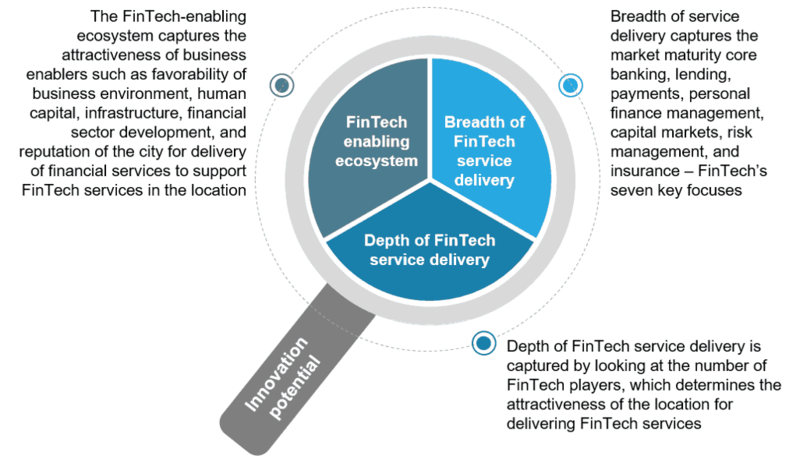 The trick for service providers to be successful in such as market will be to have a ready map of where they might be able to access just about any language in just about any kind of scale, because no one knows where the next crisis and related social media content may erupt. Finally, but probably the most critical game changer in all this, is the role of AI and automation. At a point it will no longer be financially prudent to support the content moderation process with a people-intensive model, especially with the potential demand that can arise in a matter of hours in languages that are traditionally extremely hard to support. In such a scenario, companies with natural language processing and sentiment analysis tools that can make increasingly smarter decisions related to content management will be successful. Service providers and technology vendors that can develop such tools will find a ripe market to sell into! While human judgment will still be required, IT tools can potentially be trained in an unlimited number of languages and dialects to take care of the bulk of business as usual content. That’s as far as the eye can see today. But we are poised to see an exciting new world where entirely new tussles lead to some companies emerging as winners and others fading into obscurity as losers. I would love to hear your thoughts on this topic, so please feel free to contact me at: [email protected]. Much about the situation would have been considerably different had this breach happened after May 2018, at which time the General Data Protection Regulation (GDPR) – a regulation by which the European Parliament, the Council of the European Union, and the European Commission intend to strengthen and unify data protection for all individuals within the European Union (EU) – goes into effect. Even though it is not headquartered in the EU region, Equifax would have come under the purview of GDPR, because it maintains and reports the data of British citizens. And the stringency of requirements and degree of implications would have been significantly higher for the credit rating agency. Although not directly related to GDPR, another significant business impact is the sudden “retirement” of Equifax’s CEO less than three weeks after the breach was announced. This massive cyber-attack is a wake-up call for the services industry. Starting today, operations and businesses must regard data protection regulations with the utmost importance. Non-compliance will not only harm firms financially, but also expose them to brand dilution and business continuity risks.